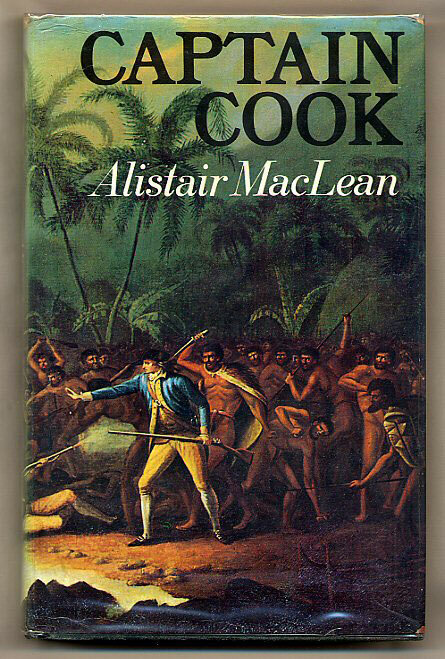 Maclean, Alistair [1923-1987] Captain James Cook FRS (7 November 1728 - 14 February 1779) was a British explorer, navigator, cartographer, and captain in the Royal Navy. Published by Doubleday & Company, Inc. Garden City, New York First Edition 1972. 1972. First edition hard back binding in publisher's original cloth covers, gilt lettering to the spine. 8vo 9½'' x 6¼'' 192 printed pages of text. End paper maps, well illustrated. Small mark to the foot of the spine, ink message to the half-title page. Very Good condition book in Very Good condition price clipped dust wrapper with small rubs to the spine tips and corners. Dust wrapper supplied in archive acetate film protection, this is not adhered to the book or to the dust wrapper and can easily be removed should you so wish. Member of the P.B.F.A. 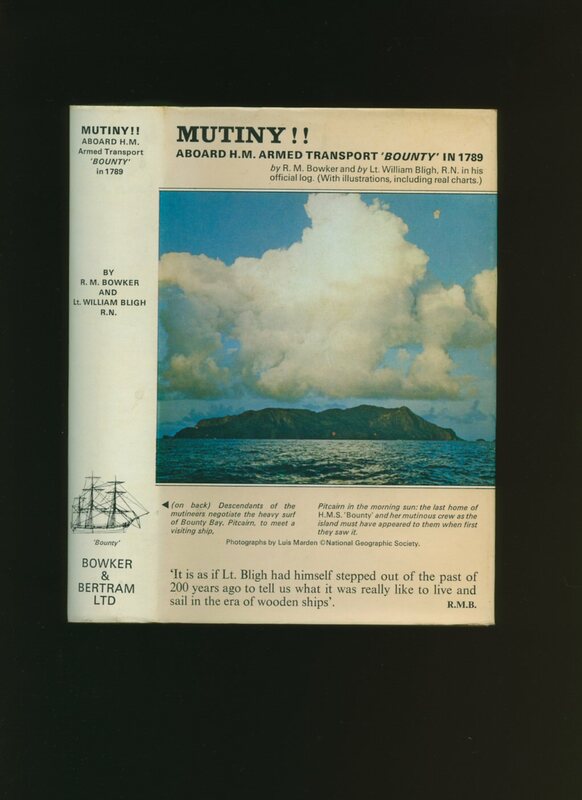 Bowker, R. M. and Lt. William Bligh, R. N., in his official log [ Captain James Cook FRS (7 November 1728 - 14 February 1779) was a British explorer, navigator, cartographer, and captain in the Royal Navy]. Published by Bowker and Bertram Ltd., Old Bosham, Sussex 1978. 1978. Hard back binding in publisher's original pale orange paper covered boards, black title and author lettering to the spine, illustrated end papers. 8vo. 7½'' x 5¼''. Contains 387 printed pages of text with monochrome illustrations and photographs throughout. Superficial wear to the covers, foxing to the closed fore edges. Very Good condition book in Very Good condition photographic dust wrapper, not price clipped. Dust wrapper supplied in archive acetate film protection, it does not adhere to the book or to the dust wrapper. Member of the P.B.F.A. 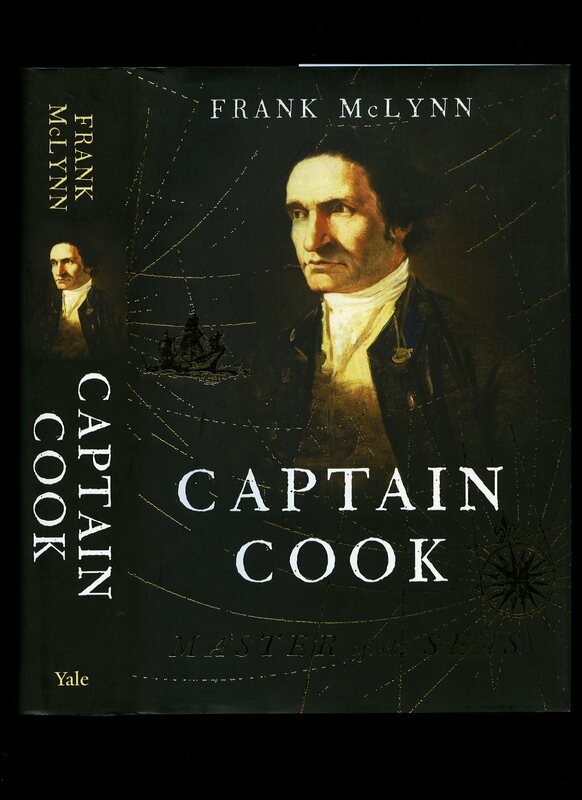 Mc Lynn, Frank [Captain James Cook FRS (7 November 1728 - 14 February 1779) was a British explorer, navigator, cartographer, and captain in the Royal Navy]. Published by Yale University Press, New Haven and London First Edition 2011. 2011. Cook, Captain James [Captain James Cook FRS (7 November 1728 - 14 February 1779) was a British explorer, navigator, cartographer, and captain in the Royal Navy]. 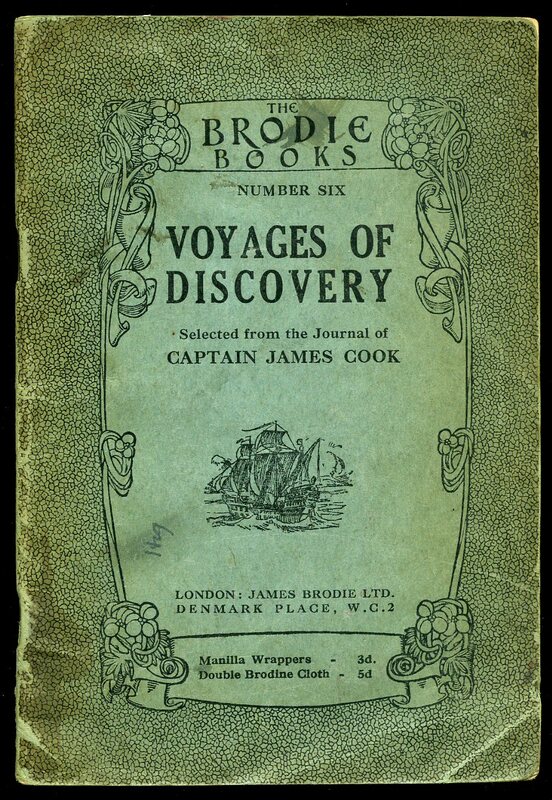 Published by James Brodie Ltd., Denmark Place, London circa 1920 edition not stated. 1920. Publisher's original stapled Manilla paper covers. 8vo 7'' x 5'' 64 printed pages of text. Monochrome frontispiece. Light soiling to the paper and in Good condition, no dust wrapper as published. Member of the P.B.F.A.